For reasons that are not immediately apparent our Supreme Court has elected to enter the politically charged healthcare tug-of-war—perhaps as referee for divergent lower court decisions? It's difficult to imagine a more compelling federal purpose than Congress providing for the welfare of all our citizens by ensuring they are afforded systematic, effective, and competent healthcare. Amazingly, providing healthcare for all our citizens has proved contentious—less than when Congress established our First Bank of the United States, which promptly assumed the Revolutionary War debts owed by the individual states1. SC, Department of Health and Human Services, et al., Petitioners v. Florida, et al. Disabusing our unstable, unfit, unwell, and unbalanced "new" alt-white-house and Republican Party et al. of the delusional notion that others will rescue them from the efforts to dismember, dismantle, and destroy healthcare for our citizenry is a fools mission! Where is the Republican Party's politicians promised replacement, which protects our citizenry from losing their current healthcare and adherence to the Republican Party's murky mantra and raison d'etre of passing only "deficit neutral legislation"? "...The measure would abolish the government’s enforcement of the ACA requirement that most Americans carry insurance coverage. It would not end the individual mandate itself but would eliminate tax penalties for flouting that requirement. The result could cause an extra 13 million people to become uninsured and drive up insurance premiums in marketplaces created under the law, according to an estimate by Congress’s nonpartisan budget analysts. Yet downstream effects of the bill that have drawn less attention could potentially damage the health care and well-being of far more people. In addition to the above misery, our Republican Party's proposed legislation adds $1.4478 trillion to our national debt, according to the non-partisan CBO! So much for the Republican Party's murky mantra and raison d'etre!! The Republican Party's willingness to opportunistically abandon their murky mantra and raison d'etre is not surprising given they've also been purveyors of economic myths about tax cuts (e.g. tax cuts pay for themselves, increase wages, create jobs, trickle-down to poor, and etc.) for decades, in spite of data belying these myths! Our unstable, unfit, unwell, and unbalanced "new" alt-white-house and Republican Party et al. are diligently working to dismantle healthcare for millions of our citizenry and missed the message from their chief religious zealot (aka Pope). Oh, wait they're religious zealots†...the beauty of irony is boundless! † The senile octogenarian senator (age 83) from Utah and Chairman of the Senate Finance Committee, Orrin Hatch, is a primary religious zealot advocating to withdraw comprehensive healthcare coverage for millions of our citizenry. 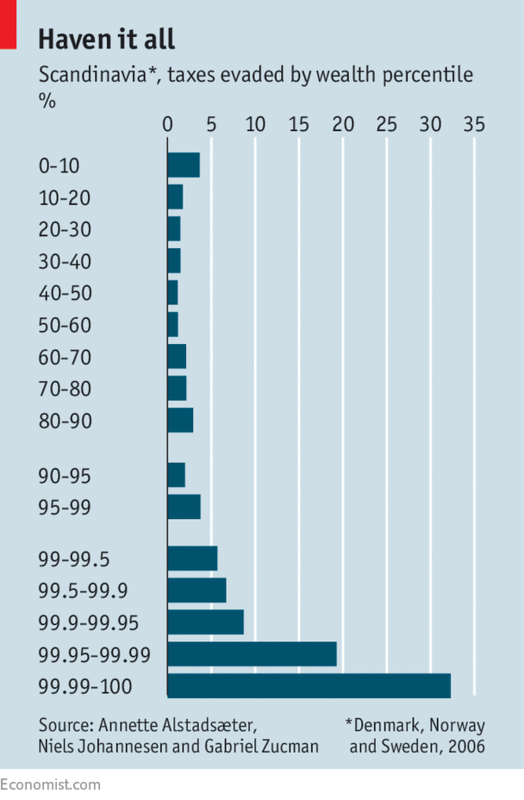 Unfortunately, senators do not have a maximum retirement age or method for ensuring their mandatory retirement (e.g. Senator Dianne Feinstein, is age 84 and is running for reelection)! More threats of madness, mayhem and misery from our unstable, unfit, unwell, and unbalanced "new" alt-white-house. It's unclear how creating more madness, misery and mayhem is useful or helpful or results in a tax break for our privileged class? These are the abhorrent tactics of terrorists—destroy what others build until you get what you want! If the agenda or program you're proposing and pursuing requires that you continuously and constantly threaten and bully our citizenry you're pursuing or proposing the wrong program or agenda! Congress should focus on providing universal access to healthcare for all our citizenry at reduced costs and improved quality. The Republican Party is not just peddling pathetic healthcare legislation it's doing so in a particularly cruel way! When pressed for specifics it spews dogma like a sick parrot—just listen to the pathetic response from GOP representative Pence! How about 10 reasons why such a cruelly prevaricating party should never take part in any policy making decisions effecting our nation or citizenry? If Senator Graham has never felt better than where the Republican Party is on healthcare he needs to visit his doctor. If Graham-Cassidy's stealth efforts to gut current healthcare legislation succeeds millions of our citizenry will lose their healthcare. If federalist dogma requires that millions of our citizenry lose their healthcare, as Graham implicitly asserts who benefits from adhering to such dogma†? Another perverse effect of the Graham-Cassidy's stealth legislation is that it would direct healthcare dollars away from states, which speedily implemented healthcare for all their residents to states that spent years chanting "repeal and replace" instead of figuring out how to give their residents healthcare. In short it rewards the Republican Party's dogmatic obstructionists to universal healthcare! † Evangelists for federalists dogma rarely, if ever support their prophecy and preaching about "local control" with data or facts, Instead they substitute meaningless platitudes about founding fathers, freedom, patriotism, or party loyalty etc. [insert any of the millions of issues that require careful analysis and balancing of local and national approaches to ensure optimal solutions]. Dogmatically preaching federalism as a panacea is disingenuous, at best and usually a sham to harmfully perpetuate reactionary local interests (e.g. slavery, polygamy, trafficking, proselytizing, moral purity, sectarianism, and conservatism etc.). When you preach such harmful dogma you tend to become a professional prevaricator when selling it, although usually not so publicly and shamelessly as with healthcare. How much long will our policymakers enable the insurance sector et al. to substitute higher healthcare deductibles and premiums (per capita spending $10,345) in lieu of lower costs? Our nation is on an inexorable path to national healthcare. But, every year we see the contortions of our leaders, which enable the insurance and healthcare sectors to squeeze our citizenry for just a little more money for lesser health outcomes, on average. Shamefully, some of our states' leaders have complained (some might say confessed) that they're unable to give healthcare to their residents, substituting slogans about "freedom to choose" instead of delivering comprehensive healthcare! This year's contortions include outrageous threats and active sabotage by our "new" alt-white-house to effectively deny comprehensive healthcare to millions of our citizenry! It's unclear how using subterfuge to sabotage Obamacare or gutting Medicaid will help our citizenry get or keep comprehensive healthcare? Good Idea From Senators McCain and Schumer -- Return to "Regular Order"
Inexplicably Senator McCain pleads with colleagues to return to "regular order" before voting yeah (aye) to go ahead with debate on deconstructing the precarious patchwork legislation enabling millions of our citizens to receive comprehensive healthcare, many for the first time. Senator McCain predicts the Republican Party's healthcare deconstruction effort will and should fail. The Republican Party's harmful and hurtful credo imagines our government must refrain from subsidizing a nonexistent "free healthcare market" when that market fails to profitably offer comprehensive healthcare to millions of our citizens! The kind of healthcare enjoyed by Senator McCain and his colleagues. Senator McCain could have shortened his eloquent plea by simply saying his Republican Party knows no shame! Last gasps for life are difficult to watch particularly if they result from lack of comprehensive healthcare! Senator McCain does not need "prayers" he needs comprehensive healthcare and access to skilled cancer specialists, which he has courtesy of our citizenry. Reprehensively†, our senate is now working hard to deny millions of that citizenry comprehensive healthcare and access to medical specialists! It's important to realize that promising progress understanding cellular molecular pathways and signaling is not a cancer cure. † It is beyond reprehensible for the Republican Party leaders to deny ANY of our citizenry comprehensive and affordable healthcare while they access excellent healthcare, paid for and supported by our citizenry! If the Republican Party ever "returns" it should bring bipartisan healthcare legislation, which provides comprehensive and affordable healthcare for ALL our citizens. It is not easy to masquerade an extreme credo of neo-laissez-faire economics and neo-federalism dogma as healthcare. It's easy for the Republican Party to repeatedly (>50Xs) cast stupid votes to repeal Obamacare when they have a responsible president willing to veto their stupidity. Not so much with an uninformed president or as the Kremlin might say a sycophant stooge. Our "new" alt-white-house and Republican Party intend to keep prescribing a harmful elixir of neo-laissez-faire economic and neo-federalism dogma in lieu of affordable and comprehensive healthcare? Ironically, their convoluted credo is about not providing all our citizenry with affordable and comprehensive healthcare. It's nothing personal just the price of prescribing neo-laissez-faire economics and neo-federalism dogma, which their credo jingoistically explains as "freedom"! No Secretary Price it does not depend on how you ask, it depends on whether all our citizens will have affordable comprehensive healthcare? Our citizenry does not want repeal of their healthcare coverage or Sunday morning sermons on Obamacare's problems—they want affordable comprehensive healthcare for themselves, their families, and all our citizenry. We all wish Senator McCain a speedy and compete recovery from his craniotomy to remove a blood clot, including benign tissue pathology. Senator McCain's surgery by doctors affiliated with the élite Mayo Clinic @ Phoenix is a poignant reminder that all of our citizenry must have equal comprehensive and affordable healthcare? There is little more offensive or harmful than the denial of healthcare based on irrelevant, arbitrary, and unscientific religious dogma. UPDATED 07/08/2017 NYT, Why a Single-Payer Health Care Saves Money Oh, but the nonsense our nation will go through getting to a single payer will make Sisyphus's rock rolling seem enjoyable! WP, Republican Senators Can't Escape Health-care Protests, Even Outside D.C. UPDATED 07/03/2017 WP, Is the GOP Considering Repealing the ACA Now and Replacing It Later? Prescribing an elixir of laissez-faire economic and neo-federalism dogma in lieu of affordable and comprehensive healthcare for all our citizenry and their families will make them sicker. Maybe the billionaires' threat to our congressional representatives that there will be "no cash until action on healthcare" means that without gutting healthcare for our poor (Medicaid) there is no cash for the billionaires' tax break!? Unsurprisingly, our "new" alt-white-house tells congress to gut healthcare now and replace it later so they can get on with legislation giving the billionaires a tax break. Where is the promise of affordable healthcare for all our citizens without gaps? It turns our that the Better Care [for Billionaires] Reconciliation Act of 2017 is even meaner and draconian for our poor's healthcare than the CBO's initial scoring. The updated CBO scoring estimates a greater gap between government payment caps and healthcare costs in the out years. Our Senate should rename their draconian healthcare legislation the Reconciliation Act of 2017 for Better Care of Billionaires! UPDATE: The prostitutes and their whoremasters have delayed voting on their tax plan masquerading as healthcare for our citizens! They keep telling our citizens they need "rescuing" from Obamacare and its minimal government mandated healthcare plans and throwing them a lead life ring. But, if Obamacare and its government mandated minimal healthcare plans are better why do they need "rescuing"? Or worse why would our citizens grab a lead life ring, which the prostitutes and their whoremasters are throwing them, calling it a rescue? Throwing somebody a lead life ring to rescue them from the problem you have created and are exacerbating while telling them you're rescuing them is beyond nefarious! The Senate "working-draft" healthcare bill is the House healthcare bill with a more sinister spinmeister telling Americans they'll soon be free...by gutting Obamacare! A "cult leader" couldn't make sense of the majority leader's spin...freedom to have no healthcare, freedom to have higher healthcare costs, freedom to receive limited healthcare based on religious criteria if you're female, freedom to pay higher premiums for preëxisting conditions, freedom to pay higher premium if your a senior, freedom to file bankruptcy when you're unable to pay medical bills...whatever else the senate majority leader's "working-draft" healthcare bill does it does not "free" Americans or America or provide comprehensive affordable healthcare for All Americans! No wonder the senate majority leader wants to legislate Trumpcare in secrecy, without debate and FAST! Unbelievably the Republican Senate plan to fix healthcare is to tells Americans that Obamacare is bad and we're going to make it much worse while charging you more, but you'll have freedom! Yeah, freedom to prematurely die because you do not have healthcare or cannot afford it! If that's American freedom, please keep your freedom and provide affordable, comprehensive healthcare for ALL Americans...FAST! It's a toss-up which is more despicable the House and Senate healthcare proposals or the fact that they'd seriously offer them as healthcare for our citizenry? 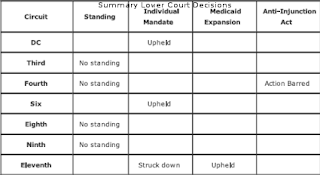 UPDATED 06/19/2017 WP, Has Senate Majority Leader Mitch McConnell changed his mind on how to pass health care reform? It's difficult to find a politician that is not a blatant (i.e. in-your-face) liar. Guess their going to try to stick around until their credibility is approaching zero? If our "new" alt-white-house begins abusively arresting our journalists, which shout questions about their disastrous healthcare hocus-pocus arrests are likely to skyrocket! Which part of the healthcare bill are you proud of Speaker Paul Ryan, the part denying millions of Americans coverage or the part placing Americans in high risk (premium) pools or reductions of Medicad, or devolution to local government to further increase a differential life expectancy of 20 years or the "best healthcare system in the world", which delivers a lower life-expectancy at a higher cost (also OECD, Health Indicators at a Glance 2015) or treating womens' healthcare as optional or ? Telling America that Obamacare is bad does not make the most recently proposed Trumpcare better! Speaker Ryan is beginning to sound like Kellyanne Conway and Sean Spicer. The estimated 23 million citizens, which would lose healthcare under the GOP healthcare proposal might disagree that they are getting "better policy"? Stated differently, a proposal that eliminates healthcare coverage for 23 million of our citizens IS NOT BETTER POLICY! Secretary Tom Price, we don't want to imagine a healthcare system, we want real affordable, healthcare for ALL our citizenry, which is equal to or better than the healthcare plans given to Congress. Also, we do not want a Secretary of Human Health and Services that preaches laissez-faire dogma in lieu of ensuring ALL our citizenry have affordable healthcare plans equal to or better than those given to Congress. Hocus–pocus is not a healthcare plan! Our "new alt-white-house and lower house, including all California Republicans flatline healthcare for much of our citizenry, calling it a "great plan"...for who?! Shame on California's lower house members who voted in opposition to ensuring all their constituents have healthcare equal to or better than what our nation give to them! American exceptionalism...eliminating healthcare for a significant portion of our citizenry and charging seniors more does not seem like optimal policy...and cheaper, better, healthcare coverage for all our citizens is nowhere in sight...now that's "making America great again"!? House Republicans on Trumpcare (03/12/2017): All our citizens will have access to Trumpcare, which they cannot afford but that's the price of freedom and conservative laissez-faire dogma! CBO and JCT on Trumpcare (scoring 03/13/2017): "...CBO and JCT estimate that, in 2018, 14 million more people would be uninsured under the legislation than under current law...average premiums for single policyholders in the nongroup market would be 15 percent to 20 percent higher than under current law...Under the legislation, some people [poor and elderly!] would be eligible for smaller subsidies than those under current law, and others would be eligible for larger ones [bet you can't guess who? ]...In 2019, the number of uninsured would grow to 16 million people because of further reductions in Medicaid and nongroup coverage..." (read entire CBO scoring report here or if you're a fans of our "new" alt-white-house CBO's fake scoring report)!!! Sometimes congressional proposals are so absurd you just have to laugh! It's unclear why congress would define "freedom" as a significant number of our citizenry (14 M in 2018!) forgoing adequate healthcare? Or propose illusory healthcare for many of our citizens based on harmful economic dogma? It's unclear how this legislation will improve healthcare beyond the existing Obamacare? Reducing or eliminating healthcare for significant numbers of our citizenry in pursuit of illusory laissez-faire economic dogma is not a useful or necessary legislative goal. Particularly, if it requires the poor to pay more of the nation's healthcare bill! A "placeholder" in healthcare legislation is not a better and cheaper Obamacare (aka communist takeover of America) for all our citizens without gaps in coverage. Show us the numbers, healthcare policy provisions, coverage, and assumptions! Our "new" alt-white-house thinks "...nobody knew that healthcare could be so complicated...". It's debatable whether our "new" alt-white-house's statement is more hilarious or frightening? President Obama knows how complicated providing healthcare to all our citizenry is and he cobbled together a first plan while continuously being called a socialist and communist. Our "new" alt-white-house doesn't know how complicated providing healthcare to all our citizenry is and must ad hoc a cheaper and better plan while being investigated for coördination and coöperation with the socialists and communists! Is there no end to irony's beauty?! The House Republican's healthcare ad nauseam mantra of "repeal and replace" has morphed to a "repeal and redirect" mantra, which would redirect the healthcare benefits of our Affordable Care Act from our poor to our rich! Who could have predicted that!? How is this first presidential action (ExecOrder) of our "new" alt-white-house going to provide cheaper, better healthcare, without gaps in coverage for all Americans? Repealing healthcare for our citizenry is at cross-purpose with America's long-term economic growth expectations. These expectations are most easily understood with reference to economic productivity or real gross domestic product (GDP) per hour worked. Absent automation and robots healthy citizens of all color and creed, including immigrants will generate that GDP—the healthier, happier, longer living and productive our citizenry the better! 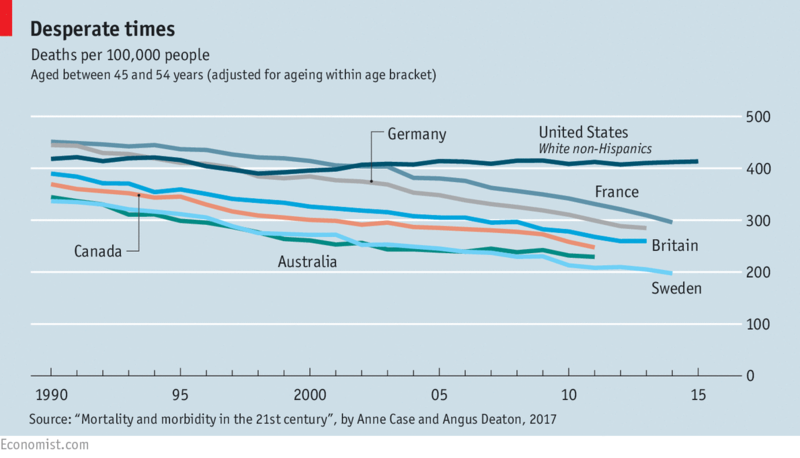 It's likely that providing healthcare to all our citizenry will add more to our long-term real GDP growth than any other single public-private action and perhaps all public-private actions combined (a close second will likely be mitigating the many negative impacts of the unprecedented magnitudes of our inequality metric measures4)? President Obama, your being very generous with your "Republican-friends'" cruelly cynical repeal-delay-replace political tactical strategy. 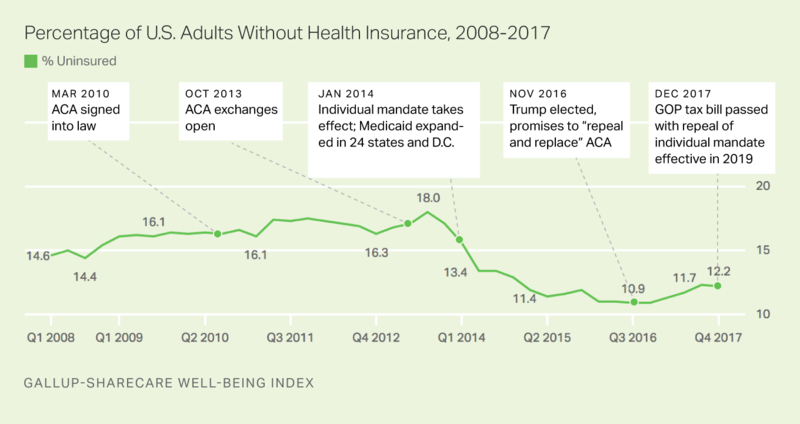 Your "Republican-friends" are likely intending to rerun their opposition to Obamacare, which has worked for them so well to date, during the 2018 congressional elections. One might think your cruelly cynical "Republican-friends" hope to keep the House and gain a filibuster-proof Senate in 2018 so they can simply repeal healthcare (i.e. ignore their delayed promise to replace), without political penalty. Wonder why our citizenry hold our politicians in such low regard or complete disregard, disdain, and disgust? If our citizenry had to associate with your "Republican-friends" they'd embrace their enemies—oh!, wait they just embraced one...he's now their president-elect! Mostly reviews the case(s) reversing the religious wackos from Texas attempts to impede a women's control of their own bodies and healthcare. Jacqueline Halbig, et al., V. Sylvia Mathews Burwell, In Her Official Capacity As U.S. Secretary Of Health And Human Services, et al., Decided July 22, 2014, No. 14-5018 is pedantry in pursuit of politics. The opinion is likely to be read as contributing more to the categories of fear, uncertainty and distraction than common sense construction aimed at preserving the historic purpose of our Affordable Care Act (i.e. provide every American citizen with affordable and comprehensive healthcare). Wow, that didn't take long for our Supreme Court to generate more zaniness—not even a Court opinion. Just a stay of a lower court decision while the Supremes figure out whether yet another religious organization person can assert that their God forbids them from submitting a government form stating that their God forbids them from providing female employees with reproductive healthcare! Hey, on the positive side our religious organizations persons aren't dragging women to a public square for shamming, dunking, flogging or killing—how's that for speedily enlightened national progress? UPDATED 07/01/2014 Burwell, Secretary Of Health and Human Services, Et al. V. Hobby Lobby Stores, Inc., Et al. More legal mischief created by the "corporation as person" fallacy3, which glides through the bizarre and sublime in to the zany. It's unclear what impact the amazingly narrowly tailored opinion will have on providing equal healthcare to our women. Health and Human Services (HHS) and our President should accept the Court's invitation to use alternative methods to ensure all our women have unimpeded access to complete reproductive healthcare independent of any entities' public or private religious beliefs. The Court's stated objective of judging a religious practitioner's sincerity independent of whether their religious beliefs are reasonable or mistaken will no doubt guarantee more zaniness in future court opinions. UPDATED 06/28/2012 US Opinion, National Federation Of Independent Business et al. V. Sebelius, Secretary Of Health And Human Services, et al. U.S. Supreme Court rightly stretches to save the Patient Protection and Affordable Care Act—its detractors discuss their next destructive move. More after studying this historic, necessary and fascinating decision—its most significant implications and impacts may have nothing to to with healthcare! 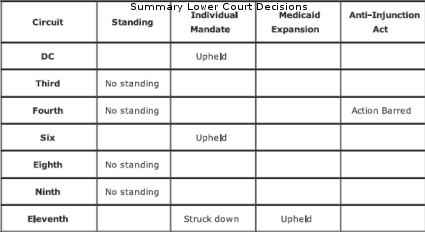 UPDATED 03/27/2012 ProPublica, What’s at Stake in the Supreme Court’s Health Care Decisions Provides a handy yes-no decision flowchart for the question presented. Understandably, some of our "laissez faire" justices seemed to conflate market entry with market function and were puzzled that our government has the ability to compel entry into the healthcare market. Now assume our explosive field of biochemistry serendipitously discovers that broccoli can treat any or all of the above illnesses. Then our government can and would compel individuals to enter the food market, too—even the most religious or broccoli phobic of our sitting Supreme Court justices! "...Doesen't that seem a little bit, Mr. Clement, cutting the baloney thin..."? On market function it seems useful to note that it's very difficult or impossible for individual states to establish separate healthcare markets that operate efficiently—they would need to impermissibly restrict interstate travel or face market collapse as the uninsured seeking healthcare flowed into the state. A "laissez faire" proponent will tend to slice the baloney nanoscale thin before acknowledging the obvious, that real world markets can and do regularly fail. Often citing prior market interventions as the reason for current market failure—you need look no further than the recent catastrophic collapse of the mortgage market—the failure was caused by to those seeking to provide affordable housing, according to our laissez faire proponents. If our states cannot individually construct and operate efficient markets then you simultaneously implicate the commerce clause and delimit the "broccoli conjecture"2 articulated and repeated by some of the justices. 1. Had Florida et al. been states in 1790-91 they no doubt would have filed a federal complaint arguing that our Constitution prohibited the nascent central bank from assuming any Revolutionary War debt! 2. The "broccoli conjecture" guesses that if our federal government requires Americans to form a single risk pool for the purpose of diversify healthcare risks then our Supreme Court is unable to delimit a federal government requirement that Americans purchase broccoli. Unfortunately, we have learned to accept this type of conjecture from our Sunday school teachers—must we also learn to accept it from our Supreme Court justices? UPDATED 06/14/2012 An interesting article tracing origins of the "broccoli conjecture"—no thinking necessary. 3. A corporate container is typically utilized to insulate its beneficiaries, apparently exempting a beneficiary's religious requirements or beliefs. The Court does not explain how a corporate container transmogrifies a beneficiary's religious beliefs—perhaps just another fiction fallacy more typically found in Bible stories than legal opinions? 4. An added benefit of providing healthcare to all our citizenry is a reduction of our unprecedented economic inequality.